St. PETERSBURG — Russia and China do not build any military-political blocs or seek “friendship against someone”, President Vladimir Putin said Friday. 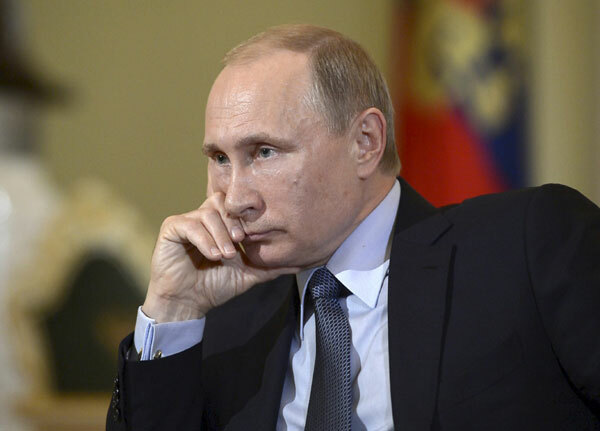 “China and Russia are not creating any military blocs or alliances against anybody…We are in the process of building an alliance to safeguard our national interests,” Putin said. Speaking to a plenary meeting at the ongoing Saint Petersburg International Economic Forum here, Putin said it is “natural” for Russia to cooperate with its neighboring countries, in particular China. “Chinese economy grows with a pace of seven percent, the highest rate in the world,” Putin said, adding that the whole world is looking for possibilities to develop relations with Asian countries like China. China is the No. 1 foreign trade partner of Russia, and Moscow looks forward to doubling the trade turnover in the near future to $200 billion dollars a year, Putin said. Noting that Chinese currency, yuan, has been getting stronger and stronger, Putin called to provide free capital flows between the two countries and gradually introduce mutual accounting in each other’s national currencies. Meanwhile, Putin stressed that Russia and China are connected not only by Russia’s energy resources, but also China’s financial capabilities. He pointed out that the two countries share and “jointly and efficiently” defend “certain values” in the international arena, while mutual equality is respected when solving international key issues.